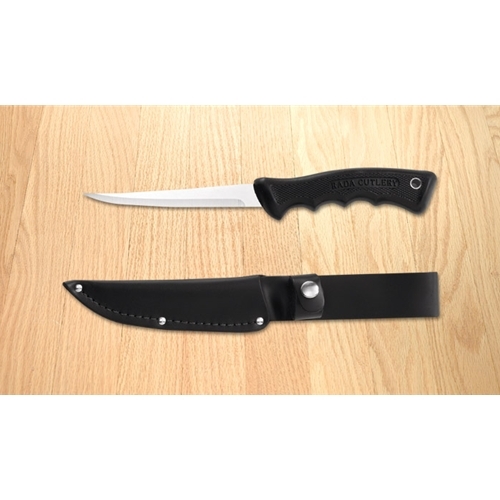 Size: blade 5 1/4", overall 10 1/4"
This dandy Made in the USA sportsman's knive is a staple for every hunter or sportsman's kit. The non slip rubber handle makes slipping non exsistant. Whether you are a hunter or outdoors enthusiest, the Rada Sportsman's knife is an invaluable tool to carry. Uses: Clean fowl and small game. The leather scabbard can be worn on your belt for instant accessibility!